Optavia and Medifast are two weight-loss diet programs that are designed by the same company. So, what is actually the difference between Optavia vs Medifast? Well, there are several differences. Continue reading below to understand better about Optavia and Medifast so that you can choose the most suitable diet program for your condition! First of all, we need to understand the duration and phases in each diet program. Although they both are designed for weight loss, they have slightly different phases. See also: Optavia vs Nutrisystem. Optavia is a newer diet program. It consists of three phases: the weight loss phase, the transition phase, and the maintenance phase. In this diet program, the weight loss phase goes for about 12 weeks. The transition phase is 6 weeks. The maintenance phase is designed to be continuous so that you can keep your ideal body weight. On the other hand, Medifast also consists of three phases, but it does not set any specific duration for the weight loss phase. You may take only 3 weeks for reaching the desired body weight, if possible. Or, in the worst case scenario, you may take more than 12 weeks due to carelessness or the lack of effort. Nevertheless, Medifast’s transition phase also goes for six weeks, and the maintenance phase is continuous. Both Optavia and Medifast utilize meal replacement foods to reduce your caloric intake. The aim is to create a caloric deficit. By making your body burn more energy than the amount that you get from what you eat, you can make your body burn the accumulated fat, thereby reducing your body weight. Both Optavia and Medifast limit your caloric intake to 450 – 800 calories per day. Optavia’s meal replacement foods are made without artificial ingredients. You can say that these are more natural products. Many of them are less sweet compared to Medifast’s meals. So far, they sound great. However, many people have mentioned that Optavia’s meals don’t taste good. In addition, Optavia’s meals are also more expensive than Medifast’s. Optavia initially offered Medifast’s meals. However, Optavia diet programs nowadays only sell Optavia’s own meals. Some people don’t like this change, as they prefer Medifast’s meals which are more affordable and taste better. On the other hand, Medifast diet programs only sell their own meals. They don’t sell Optavia’s meals. 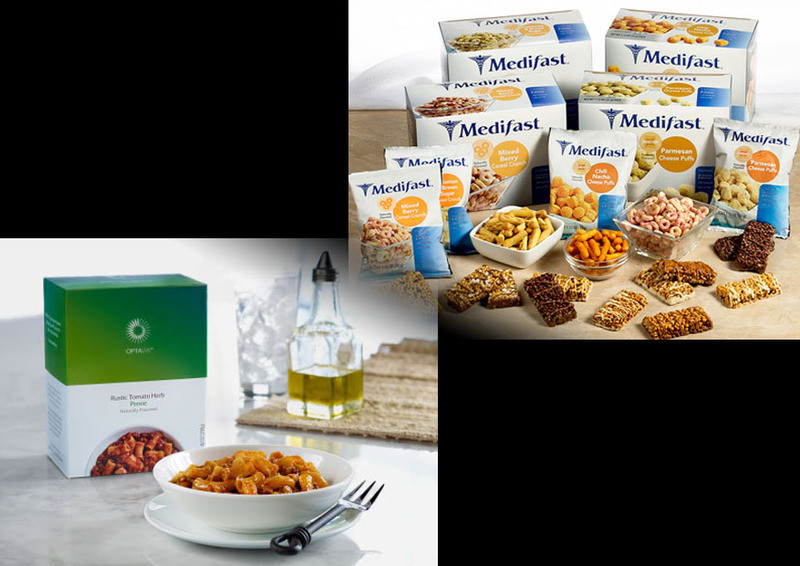 Even so, there have been a lot of chatters that Medifast diet programs will move to only selling Optavia’s meals. So, be prepared for a change. Just like other diet programs in the market, both Optavia and Medifast have received mixed reviews. Most people on Optavia are able to lose at least 50 pounds within 18 – 24 weeks. On the other hand, on Medifast, you are expected to shed 2 – 5 pounds in the first two weeks, and to continue losing 1 – 2 pounds each week while in the weight loss phase. In general, Medifast is better. It is an effective weight-loss diet program with more affordable yet tastier meals. However, with Medifast, you have to be consistent with your target. Otherwise, you will not pass the first phase for several weeks.